A little wear and tear is a natural part of the aging process, and your office is no different. But just because your office is getting older doesn’t mean you should have to sacrifice style. 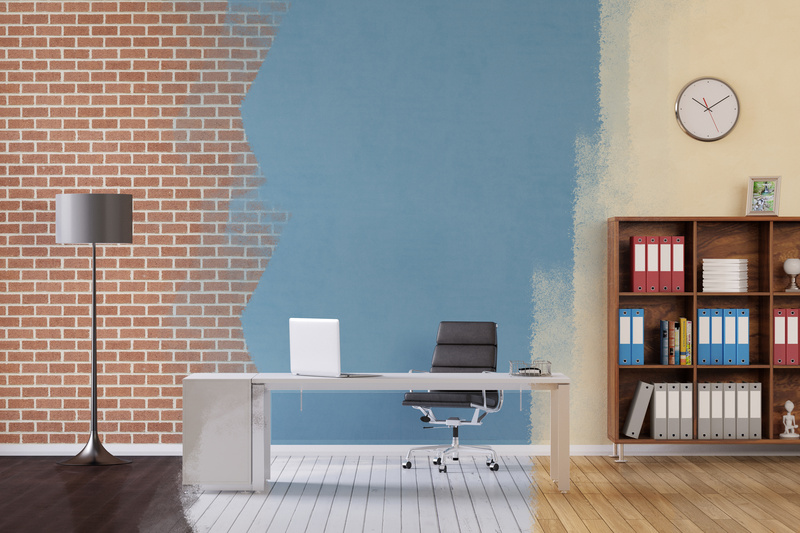 If you’re tired of your drab old office space, it may be time to consider an office renovation. If you feel a sense of nostalgia for yesteryear as you walk down the halls, your office space may be outdated. Whether it’s the furniture, fixtures, storage or technology, making modern updates can do wonders for productivity, employee morale, and the impression potential employees and clients have when they visit. You only get one chance to make a first impression. If you’re embarrassed to host client meetings in your office, then you’re past due for an office renovation. Your space should be an environment you and your employees are proud of, not one you want to hide from the world. Your office environment should support your brand, not the other way around. Your brand is a reflection of your company’s values and team culture; it’s who you are. By creating a space that embodies your brand identity, you give your employees the opportunity to live and breathe your company values every day. If the storage closet is starting to look like an ideal spot for that new employee’s office, then something is wrong. Having the success necessary to expand your staff is a wonderful thing, but make sure your office can keep up. There’s no quicker way to drop morale — and potentially that new business — than to have employees tripping over each other to support it. Collaboration is king these days. 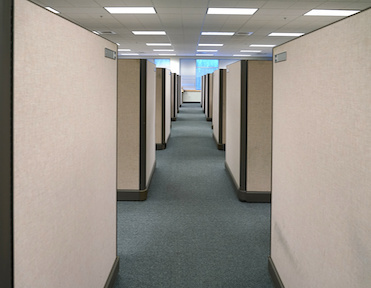 If your employees are all boxed away in offices and cubicles, how are they supposed to collaborate effectively? 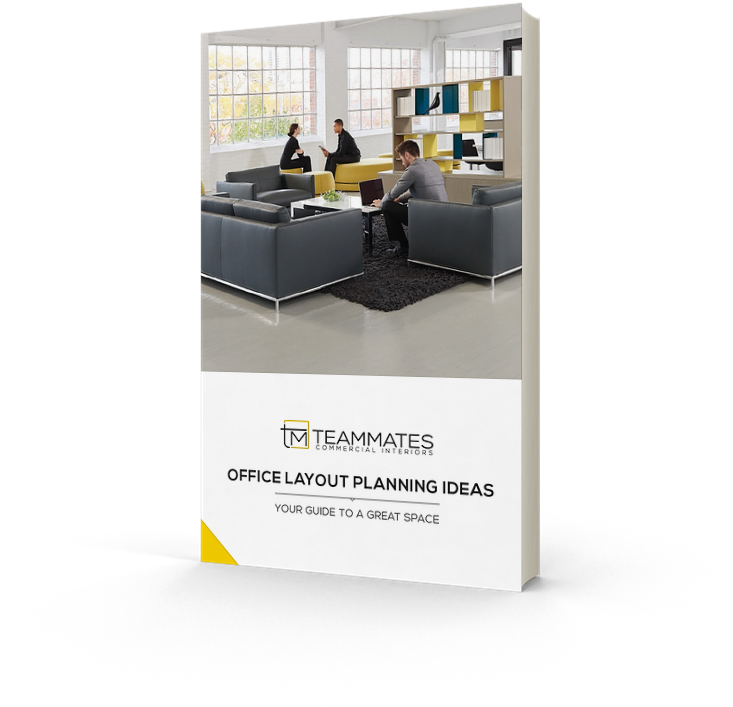 Think about different ways to promote teamwork by incorporating more open spaces in your new office layout. If you’re seeing any or all of these signs in your office, don’t bring out the wrecking ball just yet. An office renovation doesn’t necessarily mean starting from scratch. Sometimes a change in furniture, lighting, paint color and adjustments in office design can go a long way. What’s most important is to first think about how you work and what you want to achieve with your office space. For office renovation inspiration, book a tour of our showroom for a complimentary design consult. 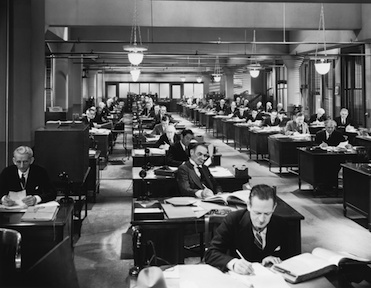 Planning a new office space design or remodeling an old office? Download our FREE Office Space Layout Guide for a rundown of the most common office space layouts, trends and pros and cons of each.